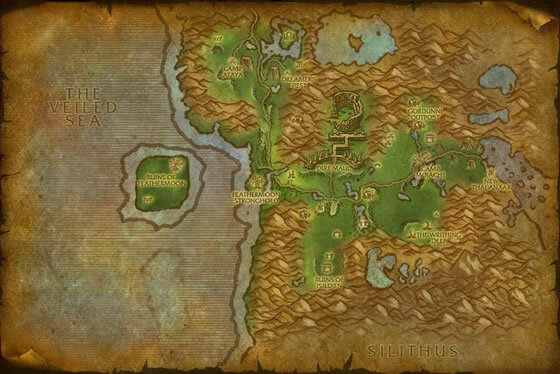 Can be found in the surrounding areas outside of the Dire Maul instance portals in Feralas. It's pretty again! So glad they brought back the extra shinies. Bring back the old model please. There is no reason to take a unique appearance out of the game especially when you can already obtain the new appearance from another source! Just caught a P/P breed, didn't even know they were in the area, but had just faced a trainer who had one. it's grey quality, but I will just upgrade it with a stone when I get some more. Heard a good bit about this one so went to farm it expecting to be there a long time to get a good P/P. Was shocked that it dropped rare on the fifth battle. I should have played the lottery. I picked up 3 of these and got on that is a PP. This is a great pet for battling the elites in Tanan Jungle. I must have murdered 250 of these poor things looking for a P/P of any quality. After 3 hours of collecting/dumping 8 rares and passing over tons of poor, common, and uncommon, I made do with a H/P. Has anyone collected a P/P recently? Do they still exist? *edit: If your PetBattleID addon is out of date, you will not see the correct ID on a lot of pets. Wow, that explains a lot of issues. Beautiful model and absolutely destroys flying pets. Go PP for PvE fights and SS for PvP. 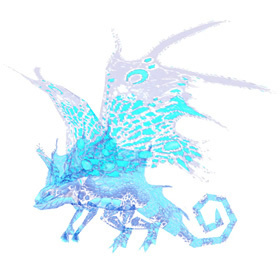 This dragon and my SS Nordrassil Wisp make a great 2-pet team against both the arakkoa trainer and the one with moths, makes it really easy to level up other pets. Great pet for battling Jahan,Hamm &Archimedes in garrison pet battle. Jahan will be faster and cast Arcane Winds first, so counter with Moonfire on 1st move. The extra magic damage helps alot from Moonfire. You will kill first pet easy with your Arcane Blast building strength from each hit. On second pet use Life Exchange when low on health and continue to Arcane Blast until that pet is dead. NFD will die on his third pet. No worries. He is at half HP. The only thing this guy isn't good at is controling damage output. This guy will kill that critter you're trying to catch. I got a rare one on the first try and it's been on my team ever since. I love it! Battled 5 poor, collected 2 uncommons, battled 6 total, got my Blue within 20 minutes, up the stairs and to the right 1/2 way down the path. Easily my most versatile PvE pet in the P/P build. Very useful for power levelling off the moths in timeless isle, start with arcane blast to get them to ~55%, then Moonfire to finish them off and you start the next pet with the dragon buff. Life exchange when the third pet comes out. I've experimented with S/S in PvP with moderate success using evanescense to dodge 2 attacks when possible. I actually one-manned some poor guy several times in one night with this build. I haven't used this pet for PvP yet, but it by far my favorite for the pandarian pet dailies. I she can solo the whispering spirit, I also use her for for my team for the fire and water spirit. She's part of my build for probably half of the pandarian tamers, and is great for power leveling low level pets. Picked up both P/P and S/S versions(341 power or 325 speed respectively). I'm finding the speedy version alot more useful in PvP in general. Evanescence is more useful and you can punish birds earlier. Works well in a clonedancer team. Sometimes it does feel like the speedy version is a bit weak though when trying to go toe to to with some other pet. If you go with P/P I think Life-Exchange is more benefitial than Evanescence. Double counter against fliers, being dragonkin with magic attacks. Much like other faerie dragons, these playful and mystical flyers are born with a natural defense against magic.